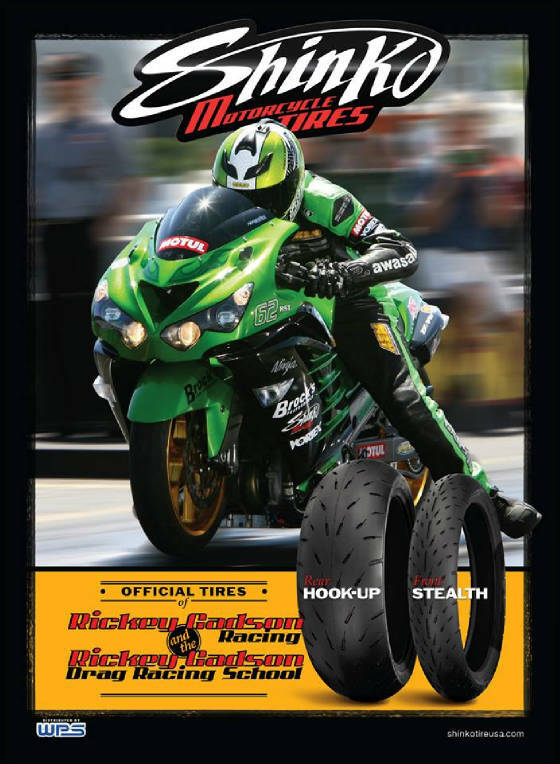 Factory Fresh Drag Tyres Now in Stock ! Most new date code in stock here on the UK Mainland Post Free ! "Introducing the new Shinko HOOK-UP PRO ! All of the great features of the original Hook-Up, but lighter, faster, and now even better at the top-end of the track ! Competition developed design allows for more horsepower to be used throughout the run due to a larger contact patch at high speed. Enhanced carcass resists distortion, chunking and the stresses of centrifugal force to maintain a more constant footprint. Combine the Hook-Up rear tyre with the Shinko STEALTH front tyre for a matching tread pattern."